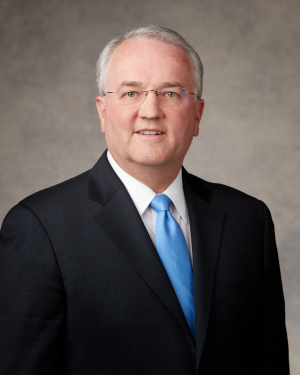 Jack N. Gerard was sustained as a General Authority Seventy of The Church of Jesus Christ of Latter-day Saints at General Conference on March 31, 2018. At the time of his call he was serving as a gospel doctrine teacher and Sunday School president. He served as a member of the Sixth Quorum of the Seventy from 2010 to 2016 and has served in the Church as a Sunday School president, bishop, stake president, Area Authority, and full-time missionary in the Sydney Australia Mission. Gerard was born in 1957 and grew up in a small farming community near Mud Lake, Idaho. While a student at the University of Idaho, he received an internship and then a full-time position on the staff of an Idaho congressman. He earned both a bachelor of arts degree in political science and a juris doctor degree from George Washington University. He has worked in leadership roles for the National Mining Association, the America Chemistry Council, and most recently, the American Petroleum Institute. He and his wife, Claudette, are the parents of eight children.